Cair Paravel Cottage is a self-catering, 1-bedroom cottage with en-suite bathroom. Situated in the peaceful town of Leisure Bay, the cottage is perfect for a couples get away, or a business trip stop over. Animal lovers will adore this holiday cottage as your fur baby (with prior consent) is also welcome, the cottage itself is secured with an alarm system and the property is fully fenced. The unit has a well equipped kitchen with glass top hob (no oven) and various appliances. Maid Service is included in the price for your comfort. This beautiful unit is situated only a 5 minutes’ walk to “Kidds Beach”. If you love nature then Leisure Bay is the ideal place for your holiday, as it’s a conservation area and there is an abundance of bird life, monkeys and duiker to be seen. 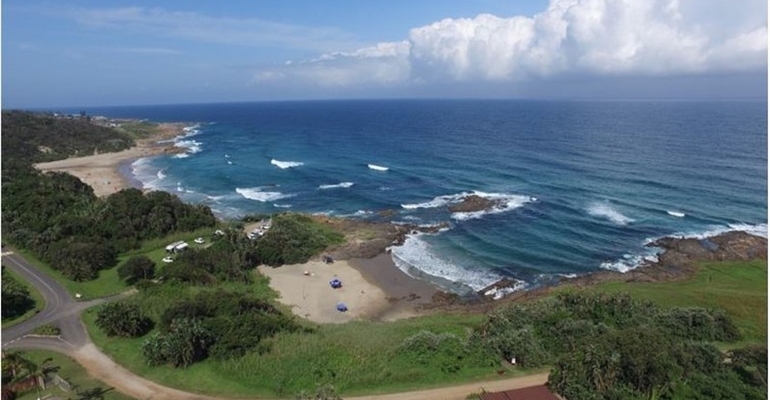 Entertainment close by includes the Wild Coast Sun, Port Edward’s super tube, Oribi George, Beavers Creek Coffee Farm and so much more. Please contact us for detailed quote.